All Customers of SoftClever Limited's basic services are subject to the terms and conditions contained in the User Agreement. 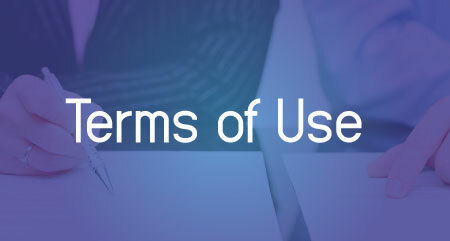 The User Agreement is a legal contract between SoftClever Limited and the User that contains the rights, duties, and obligations of SoftClever Limited and the User. SoftClever Limited's Usage Policy is designed to protect SoftClever Limited, its Users and others from illegal, malicious, damaging and inappropriate behavior by Users of SoftClever Limited's services. All users of SoftClever Limited's services are subject to the Usage Policy. The Usage Policy lists activities that are prohibited on SoftClever Limited's services, such as hacking and Spam's. Customers of SoftClever Limited wishing to register, transfer or renew a domain name must agree to the Domain Registration Agreement. In our ongoing commitment to providing superior service for our customers, SoftClever Limited has introduced a new, more vigilant anti-Spam policy. We have implemented the following policy as a part of our commitment to reducing Spam-related activity. The Domain Name Dispute Policy covers SoftClever Limited's involvement in disputes relating specifically to domain name registrations. The Data Request Policy covers SoftClever Limited's handling of formal legal requests for the release of account information. SoftClever Limited's Copyright Claims Policy provides information for parties wishing to notify us of claimed intellectual property infringements present on sites hosted on our servers. The Ownership Changes and Dispute policy covers the customer's responsibility for any changes to the ownership of a hosting account. SoftClever Limited offers certain Professional Services in addition to the basic hosting service. Customers purchasing any Professional Services must read and agree to the terms and conditions set forth in this section for each Professional Service they purchase. Please send reports of Spam and abuse to abuse@softclever.com.